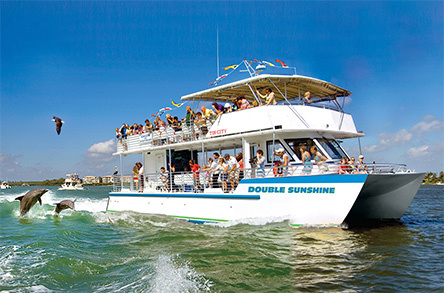 The M/V Double Sunshine is the main boat used for sightseeing and sunset cruises at Pure Florida’s Naples location at Tin City marina. It can accommodate up to 149 passengers. The M/V Lady Brett is a deep-sea party boat with a max capacity of 20 passengers. 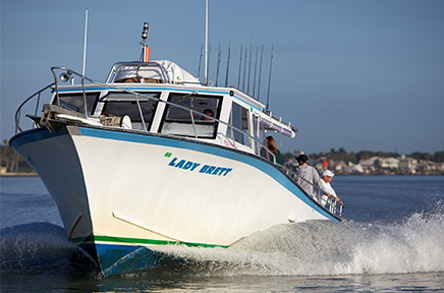 Also known as the “head boat”, the M/V Lady Brett is great for large private charters or public fishing excursions. The M/V Edison Explorer is docked at Pure Florida’s Fort Myers location at the Marina at Edison Ford and provides historic river and sunset cruises along the Caloosahatchee River. It can accommodate up to 45 passengers. 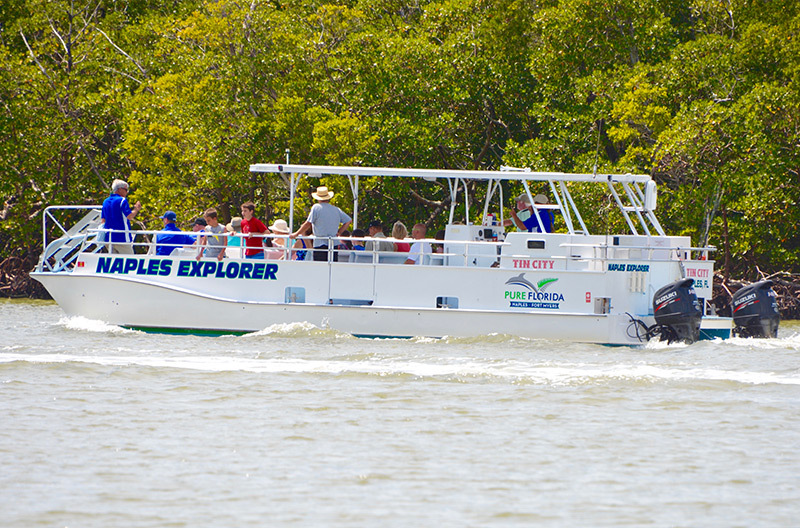 Used for both fishing trips and ECO-shelling dolphin tours in Naples, the M/V Naples explorer can accommodate up to 26 passengers. 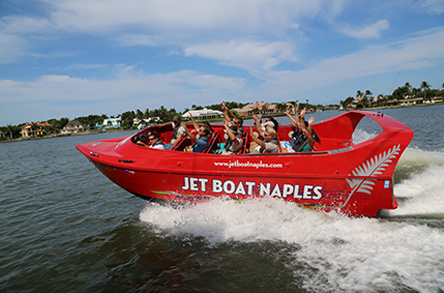 Jet Boat ‘Odin’ can accommodate up to 23 passengers for jet boat thrill rides in Naples. 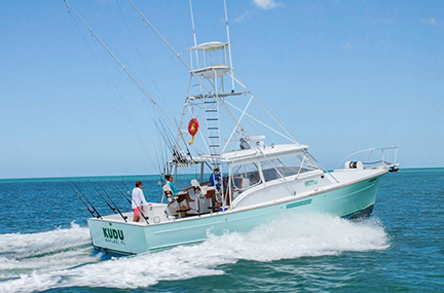 Docked in Naples, the M/V Kudu is the larger of our private charter fishing vessels. 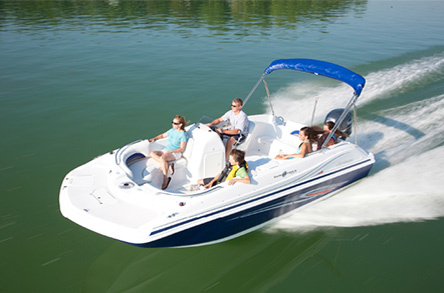 It can accommodate up to 6 passengers for a deep-sea fishing trip of up to 60 miles offshore. 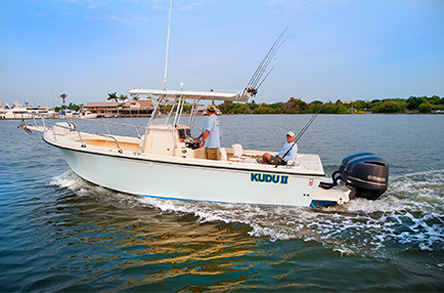 The M/V Kudu II travels up to 9 miles in back bay areas for private fishing excursions and charters in Naples for up to 6 passengers. 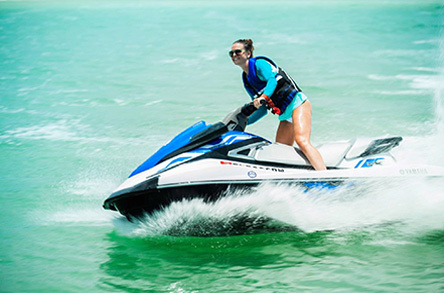 Jet Skis are available in Naples for guided tours and rentals. The Yamaha Jet Skis are great way to get closer to nature while providing adrenaline-pumping thrills. Two hurricane deck boats, measuring 20 ft. are available for guests to rent in Naples. 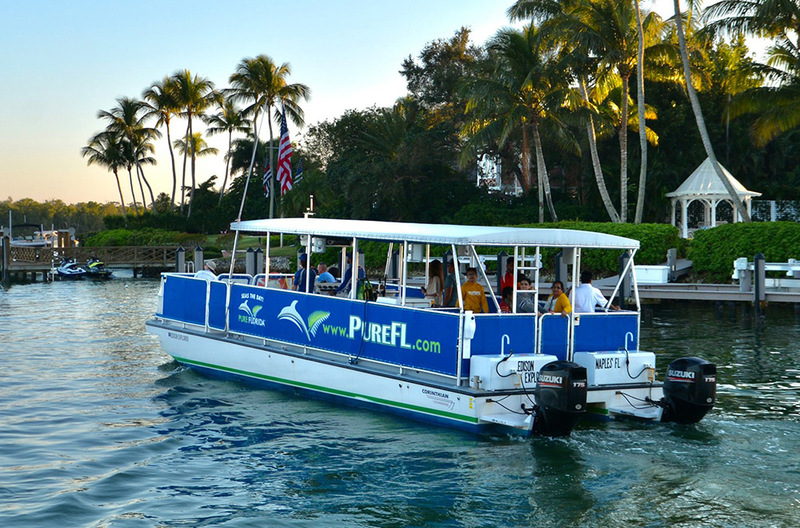 Each boat can accommodate up to 10 passengers and are available or half or full day rentals.